Stating that the discussions were held in "a friendly and cordial atmosphere", the external affairs ministry said in a statement that both sides exchanged views on ways to improve border management. New Delhi: India and China on Thursday held their 11th round of talks on border affairs during the course of which they explored various confidence building measures. "We underlined that maintenance of peace and tranquility in the India-China border areas is an important pre-requisite for further development of bilateral relations between the two countries. "Various confidence building measures aimed at further enhancing the level of mutual trust and understanding between border personnel were discussed," it said. "Both sides also agreed to explore the possibility of strengthening cooperation through exchange of visits and institutionalised dialogue mechanisms in order to promote better understanding and cooperation between the two defence forces," it added. The 11th round of the Working Mechanism on Consultation and Coordination (WMCC) for India-China border affairs was led by Pranay Verma, Joint Secretary (East Asia) in the External Affairs Ministry, from the Indian side and Yi Xianliang, Director General, Department of Boundary and Oceanic Affairs from the Chinese side. Thursday's talks come in the wake of Chinese Foreign Minister Wang Yi also being made the State Councillor which effectively makes him the country's key negotiator with India on the vexed border issue. China and India share a 3,448-km disputed border over which the countries fought a war in 1962. The armies of both sides continue to cross into each other's territories due to the different perceptions of the boundary. Wang repeatedly slammed India during the 73-day military stand-off at Doklam on the India-Bhutan-China international tri-junction last year. The crisis, which further soured the already tense ties, was resolved in August. He, however, struck a positive tone about Sino-Indian ties while addressing the media on the sidelines of China's annual parliament session earlier this month. 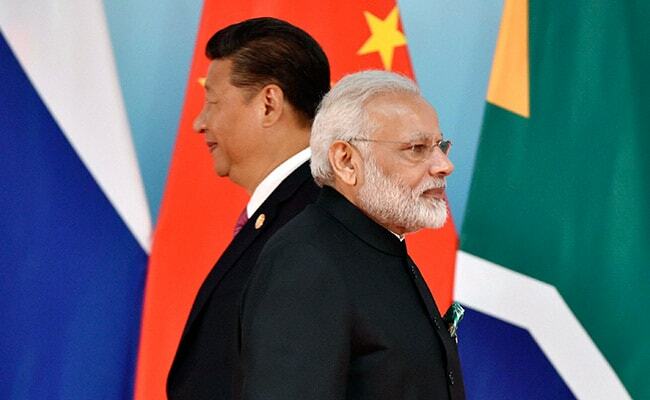 Wang said if China and India were united then one plus one will be equivalent to 11, a remark welcomed by India and answered in the similar tone. The last round of the WMCC was held in Beijing in November 2017. The WMCC was established in 2012 as an institutional mechanism for consultation and coordination for the maintenance of peace and tranquility along the India-China border areas, as well as to exchange views on strengthening communication and cooperation, including between their border security personnel.